kt literary » Blog Archive » Wooooooooooooooooooot!!! 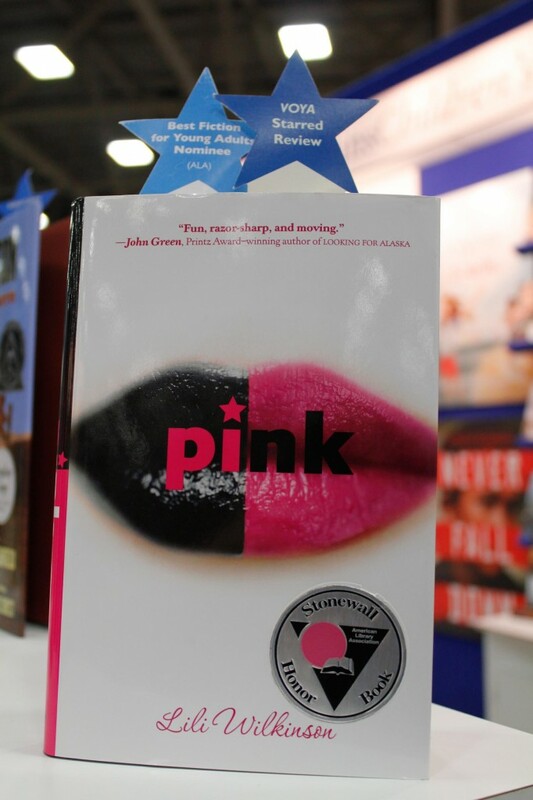 A belated, but VERY happy congratulations to Lili Wilkinson, whose novel Pink won a Stonewall Honor at yesterday’s Youth Media Awards given out by the American Library Association! I was in the audience when it was announced, and I will not lie, I did my happy dance. The Stonewall Award is “given annually to English-language children’s and young adult books of exceptional merit relating to the gay, lesbian, bisexual and transgender experience”, and we’re thrilled that they included Pink on the Honor list. For the complete list of winners, check out the ALA’s press release. In other news, congrats to Maureen Johnson, whose The Name of the Star was nominated for an Edgar Award for Young Adult. Woot! And finally, Matthew Cody picked a winner for the signed copy of The Dead Gentleman I’m giving away. And the winner is… @theoriginaledi! Edi, send me an email with your mailing address, and I’ll get Matt to sign a copy for you! Add a comment below if you’d like any specific personalized message. ← Time for Some TRUTH! Congratulations to you, Lili, and Maureen!! !